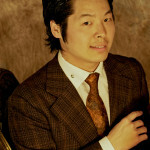 The KCS Composer-in-Residence for the 2012 and 2013 seasons, Quentin Kim, creates emotionally compelling music based on his conviction in the “perpetual modernity of tonality.” His music has been performed at Carnegie Hall, Alice Tully Hall, New York Society for Ethical Culture, Salle Cortot in Paris, Cajastur Cultural Center in Gijón, Spain, as well as at the Concerts at the Crossroads series in Cleveland. Kim’s work has been praised for its “refreshingly direct” (New York Concert Review) quality. 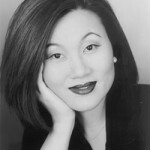 Also an outstanding pianist, Kim earned a doctorate in Piano Performance at Julliard in 2010. Praised by the London Times as “ravishing” the Los Angeles Times as “technically immaculate” the Seattle Times as “fantastic” the Boston Globe as “sensational” the San Francisco Chronicle for his “fierce virtuosity”, and the and the New York Times as “high class” with an “elegant, velvety tone” violist Richard O’Neill is one of the very few violists ever to receive an Avery Fisher Career Grant as well as a Grammy Award Nomination. 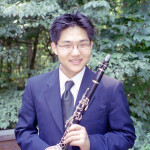 Won-Jin Jo, born in Flushing, New York, was 16 when he was named a winner of the 2001 New York Philharmonic Young Artists’ Competition. He subsequently made his New York Philharmonic debut at a Young People’s Concert in 2001 under Kurt Masur. 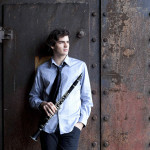 He was re-engaged for a five-concert tour with the New York Philharmonic in 2003 under Roberto Minczuk. 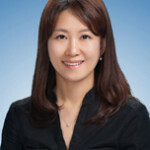 Korean Concert Society’s first ever Composer in Residence Jeeyoung Kim writes music that harmonizes the unique cultural aspects from Eastern and Western traditions. Recent works include two pieces, “Tryst” and “Ancient Bell”, that were commissioned and toured worldwide by the Silk Road Ensemble lead by Yo-Yo Ma. She has served as a composer-in-residence for Chanticleer, a Grammy Award winning choir, and she is currently a composer-in-residence for San Francisco Performances. 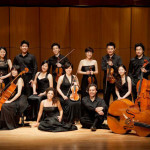 Praised as a “top notch conductor-less string orchestra” by the Washington Post, International Sejong Soloists (ISS) was founded in New York City in 1995 and met with immediate success. Since its inception ISS has given more than 200 concerts throughout the United States, Europe, and the Far East. 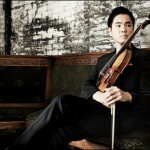 Uniquely comprised of today’s leading young soloists, International Sejong Soloists is known for its cohesiveness, beautiful sound, and refreshing musical style in performing string orchestral works as well as solo and chamber repertoire. This piano trio featured Kyung-Ah Kim (vl), Yun Jung Huh (vc), and Kyung Un Rhee (pf).